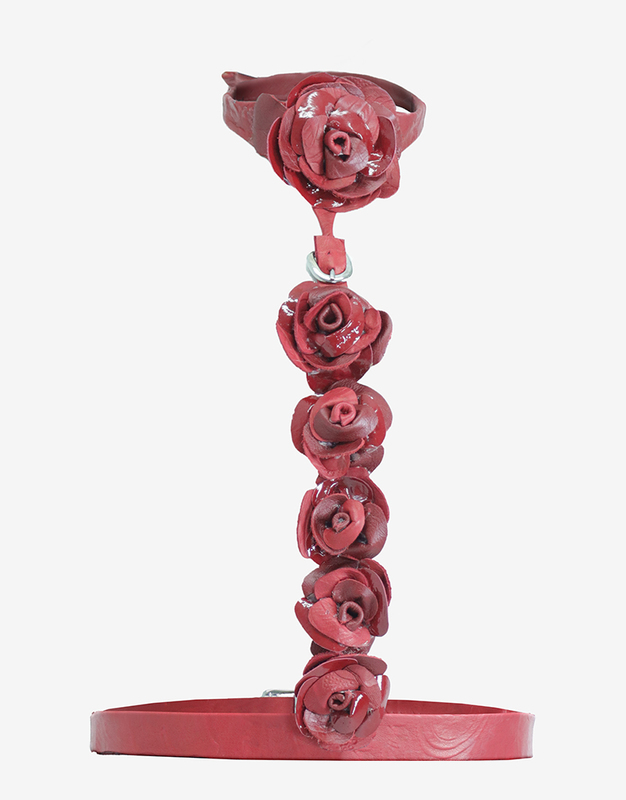 Each rose is hand made in our atelier in Los Angeles. Mixed red leather and red patent leather for a beautiful, yet subtle contrast. Buckled at the neck & waist with adjustable notches.